What the new and improved RAW Studios can do for your project. In an effort to serve our existing clients better and to grow our client base even further, Raw has started outsourcing production of our products to local firms that we trust to uphold the quality we are known for. In the last year we have sought to reposition ourselves more decisively in the service market, where we believe we are well placed to offer an innovative bouquet of services from conceptualization, through design and prototyping to testing, project management and production coordination. Our aim is to become the preferred design-supply specialist in the mid to larger-sized project segments for furniture systems, seating systems, office systems and the like. As such, we would be able to offer real turnkey service solutions to project managers, designers, procurement agents and directly to corporates, institutions and other businesses. An in-depth knowledge of our preferred FSC certified materials and the possibilities and capabilities around CNC machining technologies and super efficient production processes are only some of the factors that give us a leading edge in this competitive market. 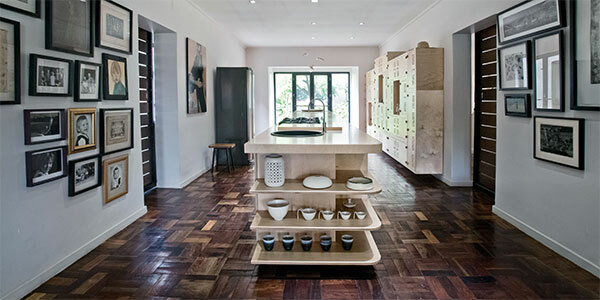 The fact that Raw already offers an innovative range of in-house designed, locally produced, modular and distinctly Raw! furniture systems and products means our clients can very often find solutions right there in the existing offering, saving time and money. At quantity, we are able to modify existing products to a certain extent, such as for branding opportunities, to make it even more cost effective for the client. Very few suppliers can offer that!